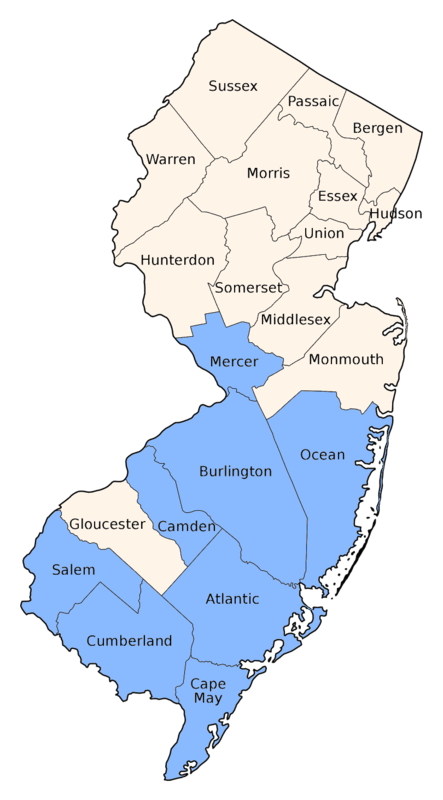 Found in the coastal plain; a typical damsel of small Pine Barrens rivers and streams, especially with tannin-strained waters. 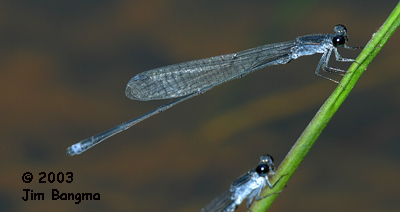 A slender, mostly blackish bluet; the postocular spots and thoracic stripes are absent or obscured in adults. The lower thorax and AS9 usually are covered with pale pruinosity. Other bluets in the habitat will show more color on the thorax, Dusky Dancer is stockier and usually shows small blue triangles dorsally on S8&9.